THE JUNGLE BOOK (2016) Review | Warped Factor - Words in the Key of Geek. 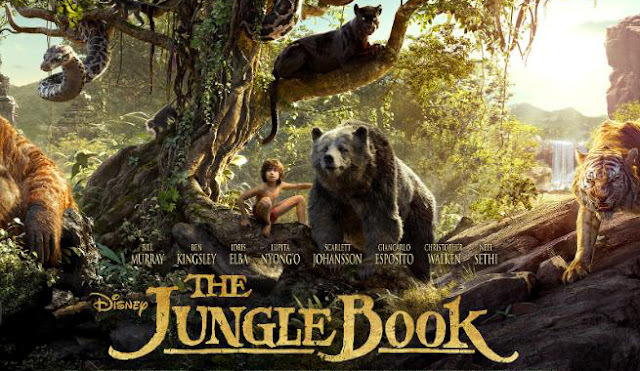 Based on the stories of Rudyard Kipling and inspired by the 1967 Disney Classic of the same name, The Jungle Book is a tale of self discovery and survival. 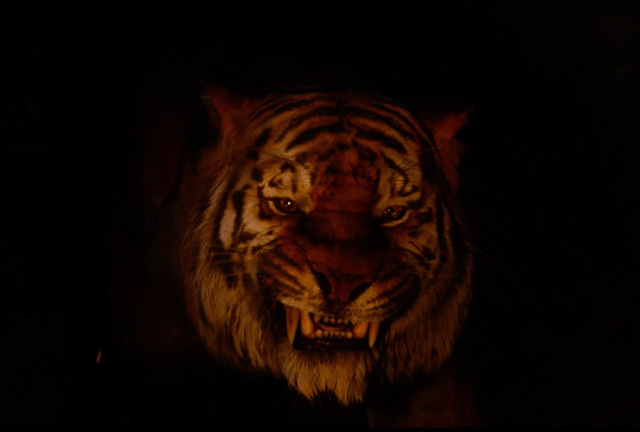 Directed by Jon Favreau and written by Justin Marks, this retelling follows Mowgli (Neel Sethi) a man-cub raised by wolves, fleeing the jungle with guidance from Bagheera (Ben Kingsley) after being threatened by Shere Khan (Idris Elba). Along the way, Mowgli makes close friends and also meets some creatures who don't seem to have his best interests at heart. 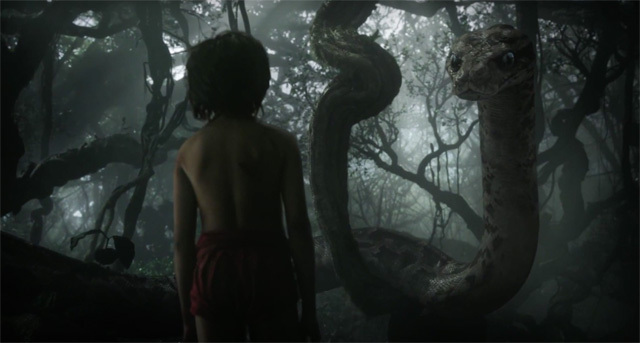 To start off with it has to be said that this supposedly live action version of The Jungle Book is infact, with the exception of Neel Sethi as Mowgli, completely CGI and filmed on a sound stage in Los Angeles, but it works perfectly! If I didn't know better, I’d have assumed that it was filmed on location but the fact it’s an entirely CGI world with maybe a few props for the crew to work with, is astonishing. It’s utterly beautiful and the cinematography by Bill Pope is gorgeous! The animals are also CGI - the actors copied the movements and behaviour of real animals with motion capture - but you hardly notice that either! At first the speech seemed a little odd and it didn't look like the animals were actually saying the lines, but this was a deliberate move by Favreau to prevent an uncanny valley effect. He wanted the animals to act like animals, not humans. The detail on the animals is perfect as well, right down to the fur on their backs and their muscle and skin stretching as they moved. I don't think I have ever seen a film that looks as vibrant, beautiful and almost dreamlike as The Jungle Book. This photo-realist world that The Moving Picture Company have created is a sight to behold and if doesn't get a nomination at next year’s Academy Awards, then there is something wrong! Baloo was so large and furry that each frame took almost five hours to render. The entire cast were amazing, and no matter how many names that get thrown around I really cant imagine anyone else voicing these characters. I take my metaphorical hat off to newcomer Neel Sethi. Considering this was his first film role, he really has to be praised for doing such a brilliant job as Mowgli, especially as he was acting in front of nothing but puppets. Sethi looks set to have a very strong career ahead of him and I cant wait to see what he does next. Another stand out cast member is of course Bill Murray as Baloo. He was an inspired choice and was definitely channeling Garfield - although there is nothing wrong with that. 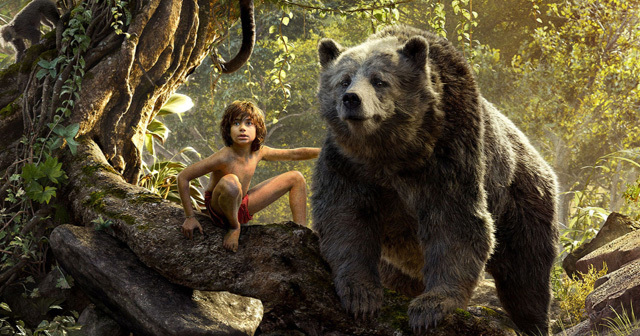 Before Baloo showed up I thought the film was good, but as soon as he appeared, I fell in love with it. He injected a lot of great humour into The Jungle Book which kept me smiling throughout and served as a great way of further developing Mowgli’s character. He’s definitely my favourite character and they really nailed it! 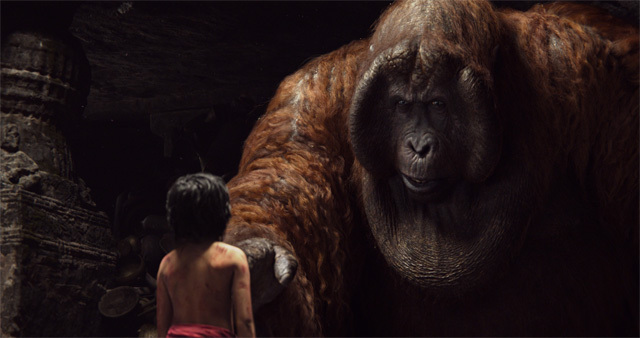 And I can’t praise this film without mentioning Christopher Walken as the Gigantopithecus, King Louie. This was a fantastic piece of casting and they even managed to sneak a cheeky little reference to a classic Saturday Night Live sketch. I won’t spoil it, but see if you can catch it. If this instrumental of ‘The Bare Necessities’ doesn't sum up the joy that was this film then I don't know what will. John Debney’s score is superb, it really sticks with you, and despite not being a musical the inclusion of the classic songs ‘The Bare Necessities’ and ‘I Wan’na Be Like You’ work seamlessly. If you’re like me, you’ll find yourself singing them days later. I do have a some very minor reservations about The Jungle Book. Some shots of Mowgli do show that they are filming on a stage as you can see the use of soft box lighting which doesn't have the same effect as natural light. This is really just a nit pick though and doesn't detract from the film at all. Another is Scarlett Johansson as Kaa. Whilst I think she did a fine job, I feel she was really only there to provide some exposition and because you can’t really retell The Jungle Book without including the character. Again, this really isn't much of a criticism, and was the biggest of my two problems with it, so really, there’s next to nothing wrong. I thought The Jungle Book was very funny and I laughed a lot, but I was actually surprised at just how dark it was in places and I think that its PG rating is very close to a 12. Even I was caught out by a few jumps so I am not sure how children would fare. I recommend parents see it first if they are worried about how their child might react. Alongside the laughs and jumps, there are also a few sad moments, and I will be honest, some of these brought a few tears to my eyes. I cant say anymore without spoiling it but they were very heartfelt moments. It does a splendid job of balancing pathos with the other themes of the story. The Jungle Book is a sweet and magical tale which looks beautiful and is acted perfectly. The direction is solid and the music is great. It’s cheerful, melancholic and eerie and it made me laugh, sing, cry and jump. It’s a joy to watch and there's so much to say but you really have to see if for yourself on the big screen for it to be fully appreciated and for you to fully understand why it’s so amazing. Don’t miss the opening as it sets the tone perfectly and make sure you stay for the end credits as they are a film in their own right! Now if you’ll excuse me, I’m going to watch it again. This might just be my definitive Jungle Book movie, so it’ll be interesting to see how Andy Serkis’ attempt stands up against this in 2018. Wherever I wander, wherever I roam, I couldn't be fonder of this film. It covers all of the bare necessities and makes you forget about your worries and your strife.